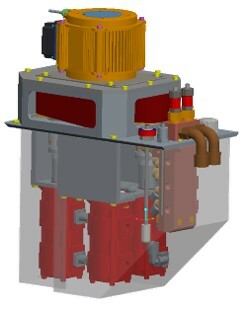 Project developed concepts for zonal (or decentralized) hydraulics for mobile working machines and stationary (process) machinery. This idea is first introduced in the aircraft industry. In a fully zonal system, the hydraulic pumps are removed from the engine and replaced within hydraulic power-packs distributed throughout the machine. In this architecture, multiple hydraulic power sources may be utilized in each zone in order to achieve energy savings and work in power-on-demand approach.